Pads are one of the most ancient instruments used to punish rebels and criminals. The first mention of them was the Old Testament, and in our time, they are still utilized on prisoners. It consists of a log or board with holes for the legs, arms and head. 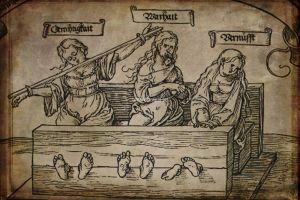 In the Middle Ages, when the punishment was often a public event, a man would be pinned down in a humiliating and uncomfrtable position, and his feet made bare. Ever passerby could express a grievance or anger by tickling his feet. Often he would be brutally ridiculed by the crowd moving by, as they threw mud, excrement, reviled, and spat on him. 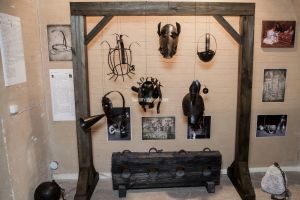 Additional humiliation came every time the prisoner experienced a natural need, because this, too, had to be done in public. 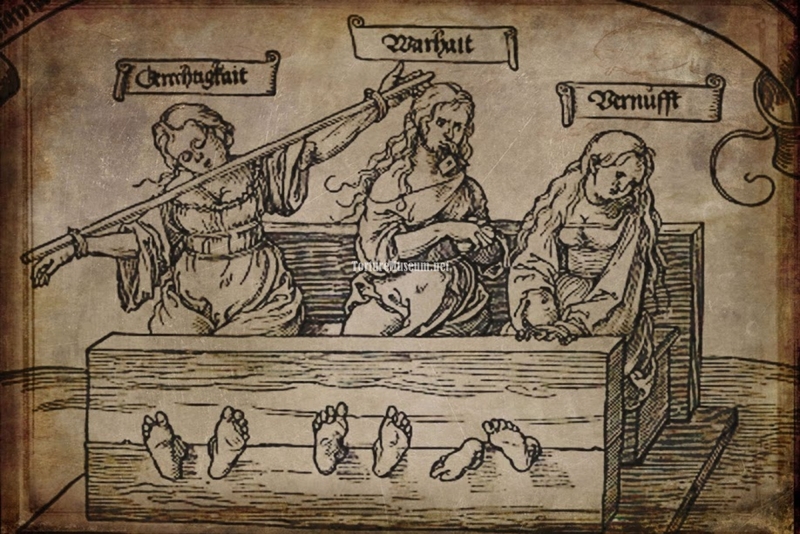 Usually deserters, and those who broke their military vows, would be thrown into the stocks. Also, this kind of verdict became popular during the colonialization of America, and was used by the Puritans to maintain a hold over the lower strata of the population. An interesting fact: In March 19, 2012 in South Africa, a case for public detention via stocks was made. The victims were a married woman of thirty years, Alfred Blanco Basilio, who committed criminal adultery with 18 guys. She was sentenced to a 72 detention. This design does not constitute anything too special. Are you still interested? 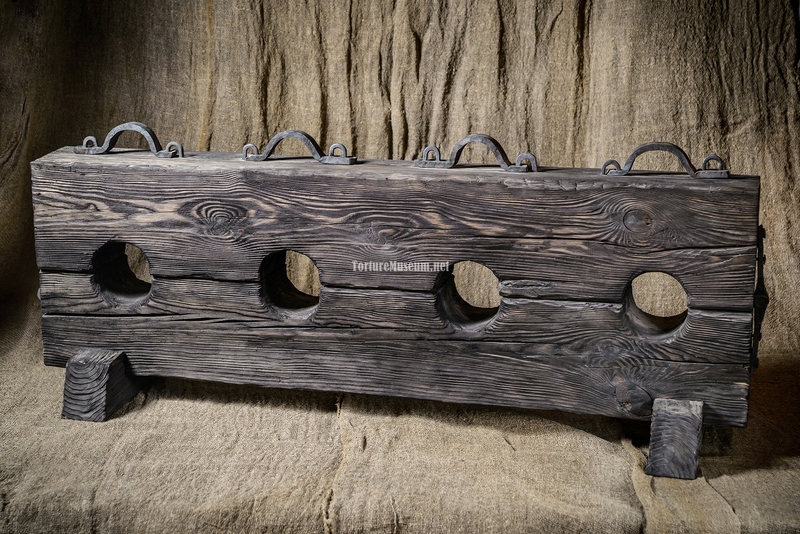 Two ugly men are unceremoniously brought out to a wooden block equipped with round holes. 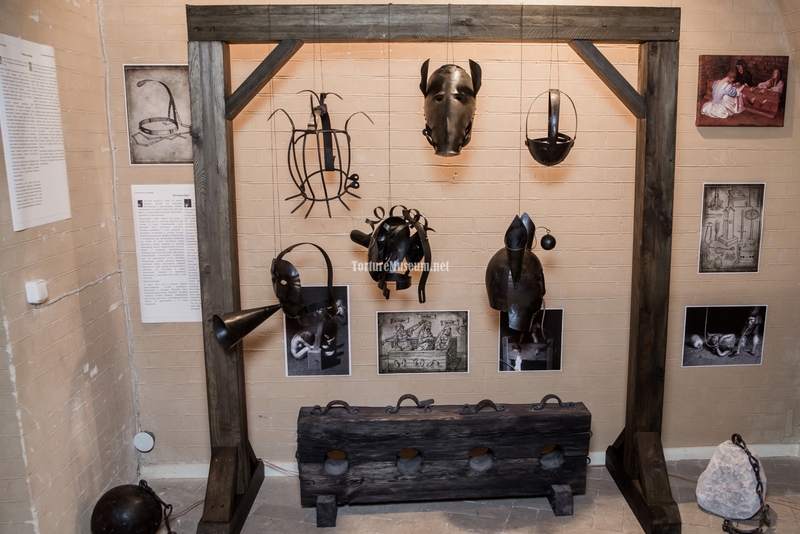 They tried to insight rebellion and have been sentenced to a public punishment. They are forced to remove their shoes and sit on the cold ground. Next, the feet of the criminals are clamped into the holes. The guards leave. Not even an hour has passed and the rebels are beginning to feel the hardship of such an uncomfortable position. Calf muscles and buttocks go numb, their bare feet freeze, and their loins start burn from the constant stress. People passing by shout obscenities at them, and one joker is trying to tickle their dirty heels with a goose feather. One of the criminals leans outstretched to grab the offender, but the design of the shoe doesn’t let him do it. Instead he propelled backward, hitting his back against the stone. Night is approaching. The prisoners are shaking, maybe from cold, or perhaps, from the strong tension in their stiff muscles. Hunger drains them of all their energy. The men fall into a disturbed drowsiness. The eyelids of one of the criminals begins to close, tilting his head over in the process. This tilt causes the body to shiver from nerve-wracking fear, sending a jolt through the wooden bridge which transfers to the other offender. Someone passes them by from a short distance away, but their face remains obscured it darkness. Maybe it’s their partner wanted to free his comrades? You hear a hideous sound, only to realize that one of the men’s faces is being spat upon. So walk on by. It’s not necessary to torture your own noble glance with such a sordid spectacle.